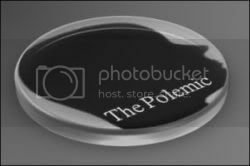 TOC introduces The Polemic, a new feature by our new columnist KJ. It will feature fortnightly on Thursdays. Morning assembly. You find yourself back in Primary school, sitting in the large quadrangle. All two thousand of you, from Primary One through Six, silently reading the Little Red Dot[i]magazine. The magazine introduces you to the breezy Dot Values family members, who tell you stories, and make you laugh. And you learn about your country Singapore, about the world, and about Singapore’s place on this planet called Big Big World. You learn that Singapore is small – a little red dot. Afterwards, in Social Studies class, you learn about Total Defence. You don’t really understand what it means, but it feels like something important. You remember that the Dot Values family had mentioned it. And you like the thought of Singapore already, because you are just like Singapore: small. A pristine little dot in this Big Big World. Later, when you go on to Secondary school, the Little Red Dot is replaced by the IN magazine. From IN, you continue learning about Singapore. You have grown much bigger. But somehow, Singapore still seems so small. And so vulnerable. A new word. [ii] You are reminded about Total Defence. You talk about it in History class, in Social Studies, in Civics and Moral Education class. You read about it in your English Language and Mother Tongue comprehension passages. When you outgrow the IN magazine and start reading the newspapers, you continue to encounter these words: Singapore was vulnerable then; it is still vulnerable now; and it will always be vulnerable. And as time passes, they become part of your daily vocabulary. You learn to repeat these maxims without giving them another thought, without missing another beat: Vulnerable Singapore, always a Little Red Dot. Always vulnerable, always Little and Red. This narrative of vulnerability justifies many things, amongst which are authoritarian government and Total Defence. One reinforces the other, and this suits the ruling regime just fine. This narrative consequently renders the doctrine of Total Defence compelling, logical, and systematic. And circular too: Singapore is vulnerable; hence a strong military force must be built. But in order to build it, a strong economy must sustained. And in turn, a strong economy requires protection from a strong military. However, as Singapore is ‘small’ and ‘vulnerable’, Total Defence is necessary to build up that strong military – and that economy – and that neverending vulnerability – and Total Defence – Etc. – Repeat – and etc. – Repeat. These words link together, forming a chain and a logical fallacy – no matter what Singapore does, it is always ‘vulnerable’, always ‘fragile’, always needing protection. But is it simply because Singapore is ‘small’? Or it is because when it suits us, we think ourselves small; and when it doesn’t, we think not? This is not a call to cancel National Service, military build-up, and Total Defence. They are necessary, perhaps. But it is important that we unpack the terms and assumptions coded within these narratives – codes that we have come to internalize. This is because the discourse of ‘vulnerability’ can perpetuate a fiction of it. And as this fiction encircles Singapore, it can potentially become an enclosure for Singaporeans. Singapore may indeed be vulnerable – as is every other sovereign state, strong and weak, big and small. But perhaps consider a few parallel possibilities and realities: Consider the possibility that our sense of vulnerability is an overestimation that eventuates the self-fulfilling prophecies of realpolitik and belligerent diplomacy – and that our security dilemmas have become intractable insecurity dilemmas fanning regional arms races. Consider also the possibility that in addition to its objective of ‘defending’ Singapore, MINDEF might have become a vast military-industrial complex facilitating vested interests in arms manufacturing and defence science research (some of which might not be adhering to international conventions), fueling the economy and feeding on itself[iv] – and that there are other ways of instituting NS and organizing the country’s defence capabilities. Most importantly, consider the possibility that the argument for a strong military based on the tenuous description of vulnerability has abetted the ruling regime’s authoritarian impulse for total control – and that Total Defence is the fulcrum for this function. On one level, Total Defence is deployed as a comprehensive framework for national defence. On another level, the inscription of Total Defence is both a representation, and a production of it, including a production of a knowledge about it. [v] At the same time, Total Defence operates as an empty signifier – part ambiguous and part invisible. We know what Total Defence refers to, but we do not know what it means. Thus anything can be used to invoke Total Defence – from vulnerability to sedition to terrorism to nationalism. It is kept inchoate so that this hallowed space – the script of Total Defence – can be scripted according to the desires of Power, emanating from the State. Thus, given the nature of Total Defence (‘Total’), and its proclaimed objective (‘Defence’), whoever inscribes Total Defence holds the power to conscript its subject – the nation – totally. This inscription of ‘Total Defence’ is essentially a totalitarian one. It is conferred by decree in the name of national defence and elaborated across the spectrum of Singaporean society. As a result, it brooks no objection, it obliterates defiance, and it commands complete obedience. Interestingly, Total Defence achieves its supreme function of control during peacetime. Consequently, quite apart from enhancing military capability, Total Defence also ensures that propaganda is seamlessly and synergistically spread through the apparently neutral channels of society. For example, through Total Defence, the Shared Values ideology is propagated, National Education and curricula are crafted, joining uniformed groups in schools are encouraged, mass media programmes are scripted, the National Day Parades[vi] are staged. Invariably, these culminate in the programming of our minds with the permanent avatar of the PAP. Through Total Defence, the rhetoric of racial and religious ‘harmony’ is perpetuated, and through which social control is exerted. Consider how our curious phenomena of racial and religious ‘harmony’ are little more than hollow performances,[vii] and genuine attempts to foster ‘harmony’ are countenanced by the State’s apparatus of control. Are we necessarily harmonious simply because we do not (because we’re not allowed to) talk about it? Through Total Defence, a reliant, compliant, and disciplined population is continually moulded under the dominance, and for the dominance, of the State. Simultaneously, the fate of the Party becomes entwined with that of the nation,[viii] such that we equate the elimination of the Party with the death of the nation. Such it might live on, shaping lives and controlling minds. The siege mentality that Total Defence conditions in Singaporeans predisposes them – from soldier, to Leader – towards an increased readiness to enter a war. That is, a war that can potentially be avoided. This conditioning militarizes the nation by glorifying, and then naturalizing, the particular language and semiotics of war into civic life, making palatable, even desirable, Singapore’s brutalist form of compulsory conscription that stretches beyond the two years and into a lifetime. Accordingly, full-time NS has been consecrated as a ‘ritual’, and romanticized as a ‘rite of passage’, and where boys shall be transformed, not into ordinary men, but valorized guardians of the land. But if Singapore must be defended and loved, then it must be defended and loved critically and self-consciously, not blindly and automatically. Not least when it is under a dominant one-party state and adopting the disturbing strategy of pre-emptive first strike. This strategy is underpinned by offensive operations and weaponry, along with a doctrine of pre-emption [ix] that, when put into effect, they contravene international law. This strategy is also in itself an admission that Singapore is ultimately indefensible. Nation before community and Society above self? Perhaps this is so that the ‘self’ can be mechanized – the men bear arms, the women bear children, and for the sake of survival, we all bear with it. Comprehensive conscription of the nation, under the fluttering flag of Total Defence, in the service of the State. ‘What will you defend?’ is this year’s slogan for Total Defence. There is a semantic slippage and sleight-of-word here, and perhaps they will go unnoticed. First, the question naturalizes Total Defence, and assumes the omnipresence of conflict. It demands your uncontested loyalty. It precludes the possibility of refusal, of resistance. Isn’t the question “What will you defend?” a legitimate one too? Can one say “No”? Second, if you must go to war, you defend your loved ones. You defend people. You defend yourself. You defend the ‘who’. ‘What’ is a pronoun that intuitively leads one to articulate an inanimate object. A ‘thing’. When you are asked, ‘What will you defend?’, the desired answer might be, I (the ‘who’) will defend (my ‘home’) Singapore (the ‘what’). Even if ‘Singapore’ is not articulated, this unnoticeable linguistic dissonance ensures that ‘Singapore’ looms at the back of the respondent’s subconscious. This is a psychological subterfuge that one needs to interrogate. This is a question that privileges objects and mechanizes people. Singapore is a construct, a concept, an abstract. And if you must defend as abstract a concept as a constructed country, then it seems moral to defend a democratic one – one where you have a stake, rather than one whose stake has been thrust upon you – an inanimate and powerless ‘you’. In Singapore, where Party – Government – State – Nation have been conflated into one entity – PAP – is this unity? Or is this totalitarianism? Are you defending the nation, or are you being used by the nation to defend it? To answer this question, that is also to reflect upon what it means to be a citizen, the architecture of Total Defence has to be deconstructed. Total Defence weaves, through an order of things and archaeology of knowledge, a particular (His)tory of Singapore. This artifice in turn embeds in the nation, comprehensive structures that shape, discipline, and punish. It enhances and is enhanced by the State. It then evacuates the altruistic substance of ‘Total Defence’, and replaces it with its own ideological agendas of de-politicization and de-humanization, further consolidating and entrenching total control. In Singapore, when you think a thought and express an opinion, how free is it from year after year of overt and subliminal State conditioning? This process of conditioning stretches back decades. Back to when you were a child sitting in the school quadrangle reading a colourful little magazine, unaware of the surreptitious manoeuvres that were leading you to One prayer of Progress. Unaware that your life was being slowly but surely shaped in One vision of Modernity. And unaware that the allure of Total Defence is also, through the rouged lips of One Nation, a captivating camouflage for Total Indoctrination. [i] The Little Red Dot and IN magazines are published by Singapore Press Holdings, and targeted at Primary and Secondary school students respectively. [ii] Singapore’s ‘vulnerability’ is most comprehensively analyzed in Michael Leifer, Singapore’s Foreign Policy: Coping with Vulnerability, NY, Routledge, 2000. But this realist reading is increasingly being critiqued by ‘constructivist’ ones: ideas, diplomacy, and norms in the evolving regional and international system enable Singapore to not only survive but also thrive. See Joseph Liow and Ralf Emmers, eds., Order and Security in Southeast Asia: Essays in Memory of Michael Leifer, NY, Routledge, 2006. [iv] See also Tan See Seng and Alvin Chew, “Governing Singapore’s Security Sector: Problems, Prospects and Paradox”,Contemporary Southeast Asia, Vol. 20, No. 2, August 2008, pp. 241-63. [v] As have been theorized by Michel Foucault, The History of Sexuality, trans. Robert Hurley, Harmondsworth, Penguin, 1981, and further operationalized by Edward Said, Orientalism, NY, Penguin, 1980. [vii] Following Judith Butler’s work on the structural discourse of power that regulates and constrains. See Gill Jagger, Judith Butler: Sexual Politics, Social Change and the Power of the Performative, NY, Routledge, 2008. [viii] This is a classic trait of fascist regimes. [ix] Singapore’s Military Modernisation: Upgrading the City-state’s Deterrent, IISS, Vol. 13, Iss. 10, December 2007. See also more generally, Tim Huxley, Defending the Lion City: The Armed Forces of Singapore, London, Allen & Unwin, 2001.